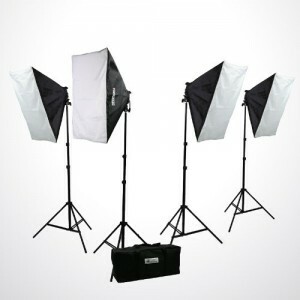 Need To Buy A Web Cam & Video Lighting? I decided to buy a web cam and a video lighting set this week. after seeing it set up in Atlanta. This continuous light set is actually a really good deal on Amazon right now. It's not top of the line pro quality, but rather ideal (and priced just right) for video bloggers, or shooting photos & video for the web. Lighting makes ALL the difference, no matter what kind of camera you're using - even if you're shooting with your smart phone. It's amazing what you can capture with the right light! This is the number one thing that affects the number of videos I create. For the last few years I've been limited by daylight hours, and the right angle and timing, after several frustrating attempts at shooting after dusk. I've tried a number of lighting options, most of which are too harsh or too yellow or cast odd shadows. Definitely not the quality you get with natural light, or a "continuous lighting" kit like the one I (finally!) ordered. What prompted me to finally order a proper video lighting set? Warning: There is NO telling what you'll hear when you put the two of us together. I already have a great camera that I love for vlogging (Video Blogging) and shooting basic videos. And I'm pretty sure I can hook it into either my PC or my Macbook and use it to broadcast live on Google Hangouts and Ustream. I haven't tried it yet though, and thought a cross compatible web cam might just be a nice mobile option to have. My PC doesn't have a built-in cam, and the built-in cam on my Mac hasn't resulted in even "decent" video quality on Hangouts I've done in the past. I'm still going to test my Vixia - but you may not want to spend $1,000 on a "real video camera" when all you really need is a good web cam. 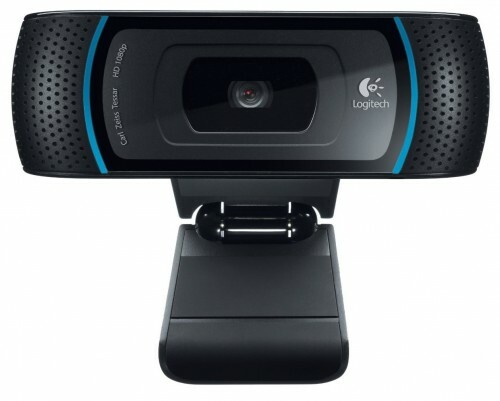 If you want to buy a web cam, this Logitech is a great option. It's around $150 and high quality video - with dual built-in noise-cancelling mics for rich, clear HD-quality stereo audio. AND it's both Mac and PC compatible, so you can easily switch between computers or use it anywhere. There's a newer version, but note that it is ONLY Windows compatible. That's the reason I chose the C910 model instead. I've heard good things about this Rocketfish Web Cam, and it's A LOT cheaper. It does have lower quality specs of course, but I'm sure it would work great for general use. I'm looking forward to being able to do more videos! It's really tough in the winter months with so few daylight hours. 😛 The lighting kit I ordered breaks down and comes with a carry bag so it can be mobile - but I plan to set it up here in my home office and leave it there. I have the same brand and it works fine...do not have the video with it...at least I do not think it does. I just wanted to ask if the microphone on the webcam is strong enough to capture the sound of your voice without having to boost the volume in any way. I have seen in many videos people wearing lapel microphones, or using some other fancier microphone, and I just want to make sure that buying the webcam and the lighting source would be all I would need to setup an affordable video recording studio for blogging. One thing that surprised me is how good the lighting was with the web cam alone, vs using my video camera (which requires the lighting kit). So yes, the lighting and audio are great on this web cam! The video above was shot at night (no natural light source). I too used the same lights they are just perfect for portraits, studios, videos and photography. Not only this but also prodigious for green screen activities. But Now I have bought Arri Pocket Par 200 Light Kit. It is very easy and compact to set up Compact, easy to place. Moreover a collection of focusing lenses, scrims and a barndoor set are included in it to alter the spread and intensity of the light. They are just amazing, you can consider them too! !